John Martin Fischer is best known for the idea of “semicompatibilism” – the idea that moral responsibility is compatible with determinism, whether free will is or is not compatible. Here is a taxonomy of determinist and compatibilist positions showing where semicompatibilism fits. Many of these philosophers reduce free will to the “control condition” for moral responsibility. This is to make freedom dependent on moral responsibility, which we call an ethical fallacy. Some philosophers do not distinguish between freedom and moral responsibility. Put a bit more carefully, they tend to begin with the notion of moral responsibility, and “work back” to a notion of freedom; this notion of freedom is not given independent content (separate from the analysis of moral responsibility). For such philosophers, “freedom” refers to whatever conditions are involved in choosing or acting in such a way as to be morally responsible. Free will is of course a prerequisite for responsibility. Questions about free will are scientific questions about the physical nature of minds. The question of moral responsibility is a moral and ethical question, not a question for physical science. We must separate the problem of free will from the issue of moral responsibility. Fischer has written three books on moral responsibility and compiled what is the largest anthology of articles on free will, determinism, and moral responsibility – his four-volume, 46-contributor, 72-entry, 1300+ pages, Free Will, a reference work in the Routledge Critical Concepts in Philosophy series. Although it is titled “Free Will,” the material is mostly about moral responsibility. Just as there are a large number of conflicting interpretations of quantum mechanics (which we will examine carefully in future lectures), there is an equally large number of positions on the problem of free will defended by modern academic philosophers. Since their positions are in fundamental disagreement with one another, they cannot possibly all be correct. Perhaps they should just be seen as staking out niches in the continuing verbal jousting that is analytic language philosophy, just a variety of concepts for their claims to teach “clear conceptual analysis”? The free will section of the informationphilosopher.com website has links to more than one hundred web pages describing the concepts in the free will debates. and there is a massively hyperlinked glossary that relates the jargon terms to one another. “Hard” determinists deny the existence of free will. “Soft” determinists co-opt the term. Compatibilism is the most common name used today for James’ category of soft determinism. For compatibilists, free will is compatible with determinism. Incompatibilism is the idea that free will and determinism are incompatible. Incompatibilists include both hard determinists and libertarians. Incompatibilists include both hard determinists and libertarians (both yellow in the taxonomy). This confuses the debate by analytic language philosophers – who are normally committed to clear and unambiguous concepts – and adds difficulties for students of philosophy. Soft incompatibilists says that free will is incompatible with pre-determinism, and that pre-determinism is not true. Using “soft” is preferable to the loose usage of the term “incompatibilist” to describe a libertarian, since “incompatibilist” is ambiguous and also used for determinists, the “hard” incompatibilists. Libertarians believe that indeterminism makes free will possible. 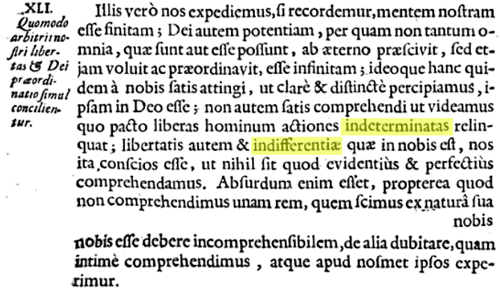 Note that there many philosophers who admit indeterminism may be true but that it does not really explain free will (“hard” indeterminists?). See the standard argument against free will – If our actions are determined, we are not free. If they are random, we are not responsible for them. So indeterminism is not enough. We need a limited indeterminism in the first stage and also “adequate determinism” in the second stage of a two-stage model. Agent-causal indeterminists are libertarians who think that agents have originating causes for their actions that are not events. Actions do not depend on any prior causes. Some call this “metaphysical” freedom. On close examination we find that most of these positions are attempting to defend moral responsibility. They do not see that the question of moral responsibility is a cultural and normative problem. It should be kept separate from the question of human freedom from deterministic laws of nature. This is a scientific question and few philosophers understand science, especially quantum mechanics. We trace the creation of information structures in the universe from the appearance of elementary particles in the first few minutes through the creation and evolution of the galaxies, stars, and planets that began four hundred million years after the origin. All these cosmological information structures are passive, under the control of fundamental physical forces like gravitation, electromagnetism, and the nuclear strong and weak force. Information, per se, is not involved in their creation. With the emergence of life on Earth, relatively soon after the formation of the Sun, active information structures appeared, which we define as structures using information processing and communication to manage the flow of matter and energy through themselves. Active information structures introduced agency and the appearance of purpose. From the tiny molecular machines that are the active components of our cells (for example, ATP synthase, the ion pumps in our neurons, the flagella, ribosomes and their chaperones, and the central dogma of DNA > RNA > Protein) up to the thinking human mind, we trace an evolutionary development that depended at every stage 1) on quantum physics as the generator of new possibilities and 2) the radiation away from the new structure of the excess positive entropy, without which the new information (negative entropy) could not survive. As Claude Shannon has shown, the creation of new information requires alternative possibilities. In a deterministic world, information would be a conserved constant, like the conservation of matter and energy. Information is immaterial. It is neither matter nor energy, and it is not conserved, although it needs matter for its (temporary) embodiment and energy for its communication, for example to other minds or for storage in the external environment. Despite the physical basis for our work, from cosmology through biology to neuroscience, we strongly argue against current “physicalist” theories in the philosophy of mind, in which chemistry is reduced to physics, biology to chemistry, and the mind/brain reduced to biology. We attack neurobiological reductionism and strictly determined “bottom-up causation.” At the same time, perhaps counter-intuitively, we defend a supervenient statistical “downward causation” that allows free thoughts (mental events that are not pre-determined) to cause willed actions. Actions are ultimately statistical but “adequately determined” by our motives, reasons, intentions, desires, and feelings, in short, by our character. We offer a two-stage model of free will, one initially seen in the nineteenth century by WiIliam James. We defend an emergent dualism of mind and matter, subject and object, idealism and materialism. Monists might like the idea that information is a neutral quantity that can ground a triple-aspect monism of matter, life, and mind. Information itself is an emergent that did not exist in the early universe. We will show that information structures emerge in three ways and in a temporal sequence, corresponding respectively to matter, life, and mind. First is the emergence of “order out of chaos” This has given rise to complexity and chaos theories that try to explain life as a “complex adaptive system.” Ilya Prigogine won a Nobel prize for far-from-equilibrium “dissipative” processes that produce information structures, like Bénard convection cells. He called it “order out of chaos.” These “complex” systems have no internal information processing. They are “dumb” structures. They do, however, exert a gross “downward causation” over their physical parts. Second is the emergence of “order out of order.” Erwin Schrödinger showed that all life feeds on a stream of negative entropy from the sun. He called this “order out of order.” Biological processes rearrange the information in the negative entropy to create and maintain themselves. They are “information-processing systems.” Their downward causation is extremely fine, meaning they can exert causal control over component atoms and molecules individually. Third is the emergence of “pure information out of order.” Abstract information is the “stuff of thought.” It is the lingua franca, the currency, the coin of the philosophical realm. Mental processes create and store abstract information in the brain hardware. At the neuron level, atoms and molecules are exquisitely controlled by neurobiology to enable nerve firings and to record (and play back) information. The core of our informational theory of mind is an experience recorder and reproducer. The ERR stores information in our neural networks about all the perceptual elements (sight, sound, touch, taste, smell) of an experience, along with our emotions during the experience. They are stored in whatever neurons fire together. Later, any new perceptual element that fires the same (or nearby) neurons can activate the neural network to replay the original experience, complete with its emotional content. The unconscious mind is a “blooming, buzzing confusion” of these reproduced experiences, to some of which we focus our attention. We identify four evolutionary stages in the development of an experience recorder and reproducer that exhibits consciousness. Now consider this possible animation of the experiment, which illustrates the assumption that each electron is in a linear combination of up and down spin. It imitates the superposition (or linear combination) with up and down arrows on each electron oscillating quickly. Notice that if you mouse click on any frame in the timeline, you will see that total spin = 0 is conserved. When one electron is spin up the other is always spin down. But what justifies the assumption that the spin of each electron is in a superposition of up and down? For the Copenhagen Interpretation, it is simply that we do not know which it is. Since quantum mechanics says we cannot know the spin until it is measured, our best estimate is a 50/50 probability between up and down. This is the same as assuming Schrödinger’s Cat is 50/50 alive and dead. But what this means of course is simply that if we do a large number of identical experiments, the statistics for live and dead cats will be approximately 50/50%. We never observe/measure a cat that is both dead and alive! Despite accepting that a particular value of an “observable” can only be known by a measurement (knowledge is an epistemological problem, Einstein asked whether the particle actually (really, ontologically) has a path and position before we measure it? His answer was yes. Einstein believed strongly in conservation principles – conservation of energy, momentum, angular momentum, and spin. Once a particle is on a path, with a spin, what could possibly change its spin mid-flight to its detection? Here is an animation that assumes the two electrons are randomly produced in a spin-up and a spin-down state. Einstein’s objective reality suggest that they remain in those states no matter how far they separate, provided neither interacts (is decohered) until the measurement. Too simple to be true? There is a fundamental asymmetry in this framing of the EPR experiment. It is a surprise that Einstein, who was so good at seeing deep symmetries, did not consider how to remove the asymmetry. Consider this reframing: Alice’s measurement collapses the two-particle wave function. The two indistinguishable particles simultaneously appear at locations in a space-like separation. The frame of reference in which the source of the two entangled particles and the two experimenters are at rest is a special frame in the following sense. As Einstein knew very well, there are frames of reference moving with respect to the laboratory frame of the two observers in which the time order of the events can be reversed. In some moving frames Alice measures first, but in others Bob measures first. If there is a special frame of reference (not a preferred frame in the relativistic sense), surely it is the one in which the origin of the two entangled particles is at rest. Assuming that Alice and Bob are also at rest in this special frame and equidistant from the origin, we arrive at the simple picture in which any measurement that causes the two-particle wave function to collapse makes both particles appear simultaneously at determinate places with fully correlated properties (just those that are needed to conserve energy, momentum, angular momentum, and spin). Since at least the time of Aristotle, philosophers have debated what it is that constitutes an individual person or thing. What makes it a unity, numerically one? What distinguishes it from everything else? Individuation is related to the metaphysical problems of constitution, composition, colocation, essentialism, and identity. Given two equal amounts of matter, they are distinguished by their shape or form. Given two things with identical form, they are individuated by being embodied in different material. In information philosophy, identity depends on the total information in an object or concept. We distinguish the intrinsic information inside the object (or concept) from any relational information with respect to other objects that we call extrinsic or external information. We can “pick out” the intrinsic information as that which is “self-identical” in an object. The Greeks called this the πρὸς ἑαυτο – self-relation. or ἰδίος ποιὸν, “peculiar qualifications” of the individual. Self-identity, then, is the simple fact that the intrinsic information and the extrinsic relational or dispositional information are unique to this single object. No other object can have the same disposition relative to other objects. This is an absolute kind of identity. Some metaphysicians say that such identity is logically necessary. Some say self-identity is the only identity, but we can now support philosophers who argue for a relative identity. To visualize our concept of information identity, imagine putting yourself in the position of an object. Look out at the world from its vantage point. No other object has that same view, that same relation with the objects around you, especially its relation with you. Now another object could have intrinsic information identicality. We will identify a very large number of objects and concepts in the world that are intrinsically identical, including natural and artifactual kinds, which we may call digital kinds, since they are identical, bit for bit. This is relative identity. In 1947, Ruth C. Barcan (later Ruth Barcan Marcus) wrote an article on “The Identity of Individuals.” It was the first assertion of the so-called “necessity of identity.” Her work was written in the dense expressions of symbolic logic, with little explanation. Five years later, Marcus’s thesis adviser, Frederic B. Fitch, published his book, Symbolic Logic, which contained the simplest proof ever of the necessity of identity, by the simple mathematical substitution of b for a in the necessity of self-identity statement (2). (3) ☐[a = b], by identity elimination. Here are the relevant sections in Descartes’ Principles. 37. The supreme perfection of man is that he acts freely or voluntarily, and it is this which makes him deserve praise or blame.The extremely broad scope of the will is part of its very nature. And it is a supreme perfection in man that he acts voluntarily, that is, freely; this makes him in a special way the author of his actions and deserving of praise for what he does. We do not praise automatons for accurately producing all the movements they were designed to perform, because the production of these movements occurs necessarily. It is the designer who is praised for constructing such carefully-made devices; for in constructing them he acted not out of necessity but freely. By the same principle, when we embrace the truth, our doing so voluntarily is much more to our credit than would be the case if we could not do otherwise. 41. How to reconcile the freedom of our will with divine preordination.But we shall get out of these difficulties if we remember that our mind is finite, while the power of God is infinite — the power by which he not only knew from eternity whatever is or can be, but also willed it and preordained it. We may attain sufficient knowledge of this power to perceive clearly and distinctly that God possesses it; but we cannot get sufficient grasp of it to see how it leaves the free actions of men undetermined. Nonetheless, we have such close awareness of the freedom and indifference1 which is in us, that there is nothing we can grasp evidently or more perfectly. And it would be absurd, simply because we do not grasp one thing, which we know must by its very nature be beyond our comprehension, to doubt something else of which we have intimate grasp and which we experience within ourselves. Now that we know that all our errors depend on the will, it may surprising that we should ever go wrong, since there is no one who wants to go wrong. But there is a great difference between choosing to go wrong and choosing to give one’s assent in matters where, as it happens, error is to be found. And although there is in fact no one who expressly wishes to go wrong, there is scarcely anyone who does not often wish to assent to something which, though he does not know it, contains some error. Indeed, precisely because of their eagerness to find the truth, people who do not know the right method of finding it often pass judgement on things of which they lack perception, and this is why they fall into error. If Descartes did equate freedom and indeterminacy with the mind, and determinism with the body, it would anticipate and be consistent with Kant‘s later view that the realm of freedom is noumenal, where phenomena are determined, for Kant by Newton’s deterministic laws of nature. Chance is often defined as the opposite of Necessity. The English word derives from the Latin cadere – to fall, especially cadens a fall, falling. Dictionary definitions refer to the fall of the dice, but the etymology suggests it is related to the grammatical idea of declension, which describes the falling or “leaning” away of the genitive, dative, and accusative cases from the “straight up” nominative case. The word connotes falling in the sense of decadence. Note the German for chance is Zufall. Leucippus (440 B.C.E.) stated the first dogma of determinism, an absolute necessity. Nothing occurs by chance (maton), but there is a reason (logos) and necessity (ananke) for everything. Chance is regarded as inconsistent with causal determinism and with physical or mechanicaldeterminism. The idea that Chance and Necessity are the only two logical options, and that neither is compatible with free will and moral responsibility, is the basis for the standard argument against free will. The first thinker to suggest a physical explanation for chance in the universe was Epicurus. Epicurus was influenced strongly by Aristotle, who regarded chance as a fifth cause. He said there must be cases in which the normally straight paths of atoms in the universe occasionally bend a little and the atoms “swerve” to prevent the universe and ourselves from being completely determined by the mechanical laws of Democritus. Epicurus did not say the swerve was directly involved in decisions so as to make them random. His critics, ancient and modern, have claimed mistakenly that Epicurus did assume “one swerve – one decision.” Some recent philosophers call this the “traditional interpretation” of Epicurean free will. On the contrary, following Aristotle, Epicurus thought human agents have an autonomous ability to transcend the necessity and chance of some events. This special ability makes us morally responsible for our actions. Epicurus, clearly following Aristotle, finds a tertium quid, beyond necessity (Democritus’ physics) and chance (Epicurus’ swerve). …some things happen of necessity (ἀνάγκη), others by chance (τύχη), others through our own agency (παρ’ ἡμᾶς). …necessity destroys responsibility and chance is uncertain; whereas our own actions are autonomous, and it is to them that praise and blame naturally attach. Despite abundant evidence, many philosophers deny that real chance exists. If a single event is determined by chance, then indeterminism would be true, they say, and undermine the very possibility of certain knowledge. Some go to the extreme of saying that chance makes the state of the world totally independent of any earlier states, which is nonsense, but it shows how anxious they are about chance.